Literary biography can be such a depressing genre, although I read it, I realize, to feel vicariously alive, to really immerse myself in a writer’s life. With a female writer, there is usually an extra piece of identification there. However, a truthful biography of an artist’s life inevitably encompasses both the joyful and the sad, disturbing parts. Not just that, for every “triumphant” episode or period, there is usually a long “slide” towards the end of the life which can be difficult to read. In Blake Bailey’s biography of Richard Yates, for example, he is unflinching about the way Yates slowly destroyed himself through alcohol, undercutting all his past achievements. A recent biography of Shirley Jackson and an upcoming book about Daphne du Maurier show interesting resonances between the lives of two women who never met and perhaps were unaware of each other’s existence. Ruth Franklin’s 2016 biography of Jackson has been lauded as being a sympathetic feminist portrait of the California girl turned Vermont writer. Born in 1916, Jackson came from a family on her mother’s side not of artists, but of wealthy architects in Gold Rush San Francisco. Her father, Lewis, was an oddity, though, an Englishman who remained secretive about his origins. He worked for a printing company, so the family moved east to Rochester, NY, in the early 1930s for his work. Jackson was a tomboy who became a chubby and insecure young woman. Franklin perceptively shows her trying on different “alter egos” in her diary entries as a teenager, and the early chapters of the book are very good, depicting Shirley’s struggles to fit in with the other girls in her freshman year. Poignantly, she was often ostracized, and was even viewed as a lesbian at the University of Rochester due to her intense friendship with a butch-looking French student. While this experience was clearly formative, Jackson turned inward, and for the rest of her life she remained an extremely private person. Continually heckled by her socialite mother about her weight and lifestyle, her lack of trust in other women comes through in her work. While Franklin does an excellent job throughout the book of showing Jackson at work and exploring her writing career, which took off rather rapidly, the woman herself is veiled and suppressed. Married to her college boyfriend, Stanley Edgar Hyman, the couple hid away in a huge house in North Bennington, Vermont, after a brief period in New York that seems to have been quite happy for them. Although her parents unsurprisingly opposed the marriage to this Brooklyn Jew, Jackson wistfully hoped that they would be “mad bohemians” together. She took on motherhood with the same sort of “well, hell!” attitude, and her two books about her life in Vermont with her children have charmed many readers. She was clearly a good mother who didn’t pass her on problems to her kids, or expect them to become her sounding boards, but the emotional distance between Jackson and her family always seems quite acute. I finished the book thinking that her children probably never understood her—and indeed, she died so young, of a heart attack at 48, that it was unfair to expect them to. Jackson and Hyman were progressive parents, but Franklin makes clear that Jackson’s attitude towards her husband, a professor at Bennington, grew into one of great resentment and disappointment, even rage. She was the breadwinner and he professed sincere admiration for her work. But he continually romanced other women and seems to have expected Jackson to understand his need to do so, even rubbed her nose in it. The image that I come away with after reading “A Rather Haunted Life” is of a trapped woman in the 1950s, her books celebrated and selling well, eating and drinking and smoking to excess for comfort, taking the heavy barbiturates her doctor prescribed, and drowning in fear. Yet despite her clinical anxiety, Jackson managed to push herself to go and speak at writers’ conferences. People in her own social group accepted her, and she could be a warm hostess. But there is no way not to see her as a tragic figure, especially as her husband married a 22-year-old ex-student of his a year after her death. I was particularly keen to see if that second wife, Phoebe Pettingell, had shared any insights with Franklin, and felt disappointed that there weren’t any. I wanted to know what kind of husband Stanley Hyman was in this second marriage, and whether he expressed to his wife any regrets about the way he’d treated Shirley. But we aren’t told. And I think this biography, well written as it is, doesn’t dig deeply enough into the traumas surrounding Jackson. Hyman is left an ambiguous figure: a bad husband, but not an evil one. There is enough material presented to even question whether he was that bad a husband, given the way most men behaved toward their wives in the 1950s. All in all, not a happy tale, but Jackson’s work has passed the test of time and I’m curious to read her classics such as The Haunting of Hill House and The Bird’s Nest. From wistful hopes to a woman with an iron will. Tatiana de Rosnay’s life of Daphne du Maurier, Manderley Forever (forthcoming April 2017, on Kindle preorder), is an astonishing read. It’s written in the present tense, and it wraps a stylistic spell around the admittedly dashing figure of du Maurier, born in 1907, who grew from a shy girl, the apple of her actor father Gerald’s eye (but not her mother’s! ), to a vibrant “bright young thing” of the 1920s, enjoying a lesbian affair with her headmistress and the first fumblings of heterosexual passion in London with Carol Reed, later the director of The Third Man. The book is translated from the French by Sam Taylor and there are occasional clunkers: a disappointment in Daphne’s life is labeled “a downer,” for example. But for the most part, de Rosnay’s style worms inside Daphne, allowing us to feel deep empathy and understanding. To the outside world, Daphne du Maurier was rather tough and cynical, an early success as a writer who invested an enormous amount of her energy into renovating an ancient house in Cornwall called Menabilly, which became the passion of her life. After a few flings, she married a soldier in the mid-1930s who became decorated during the Second World War, and so she was Lady Browning in her later years. Like Jackson, she had several children, a large house, and a husband from whom she grew apart. But what a difference there was between the two! In this household, Daphne wore the pants and made most of the decisions. Oddly enough, I never realized till I finished the book that she and her sisters never went to college. They were educated by a governess and Daphne had one year of finishing school in France (where she seduced her headmistress, Fernande). Yet she doesn’t seem to have ever felt much intellectual inferiority. She spoke French fluently and was quite at home in the raffish world of the theatre. Her literary journey seems odd, then, as she got little encouragement from her family to be a writer. But she just did what she wanted to do. The real miracle, though, is that Daphne has been given the green light by her parents to stay at Ferryside alone for a month, after the others leave on May 14. She still can’t quite believe this. Did they give in to her pleas out of weakness? Have they simply accepted her obsession with Fowey? Whatever the reason, it is a demonstration of trust. A woman from the village will come and cook for her and clean the house, but apart from this nice, honest Mrs. Coombs and Biggins the gardener, Daphne will be alone for the first time in her life. 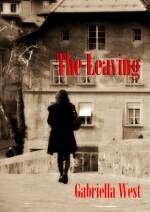 The car leaves, with Muriel, Angela, Tod, and Viola inside and the heavy wooden door closes. Daphne jumps for joy, stroking the rough walls at the back of the living room, formed by the cliff face, caressing their cool crevices, singing at the top of her voice, and going outside through the room on the second floor, which has a door that opens on to the garden. She gambols in the grass, turning her face up to the May sun, and thinks how wonderful life is. She turned twenty yesterday and she is alone in her favorite place in all the world. This is the best birthday present her parents could have possibly given her: this freedom, here and now. Before she does anything else, she must master her new kingdom, get to know every nook and cranny of it. Daphne wakes early to the sound of seagulls and ship horns, eats a quick breakfast, puts on her sea boots and a pair of pants (she can’t stand skirts, which she considers impractical) and a blue-and-white-striped sweater, not forgetting the cap pulled down over her short hair. She looks like a sailor, and this pleases her. She walks, stick in hand, up the slope behind the house, turns right after the ruins of the St. John chapel, climbs the path toward Pont Pill, the peaceful estuary of the River Fowey that winds through the greenness of the ferns. A sign warns that the area is private, but she pays no heed and walks through the copses, intoxicated by the smell of damp earth, crossing through St. Wyllow and heading for Polruan. The sunlight filters through the dense foliage, a stream babbles close by, and behind a bush she discovers a shady, sparkling pond. She passes old quarries, disused lime kilns, barley silos, piles of coal. Down below, on the layers of mud that dry when the tide is low, she spots the framework of a schooner, with a figurehead still fastened to its hull. Fascinated, she rushes down the slope to take a closer look at the remains of this abandoned ship and reads the name still visible on its side; Jane Slade. What was this ship’s story? Where did it go? How dashing it must have been with this black-haired woman on its bow, her face lifted up in a smile, a bouquet of flowers held to her chest. The prose is so mesmerizing here that only later did I wonder whether these details were coming out of Daphne’s diary. How could the author have so vividly reconstructed them? But de Rosnay, herself a novelist, did visit her subject’s haunts in Cornwall, London, and France, too. Du Maurier went on to write her first novel, The Loving Spirit, about the Jane Slade character and her descendents. After her marriage, she wrote Rebecca, which became a massive hit. During the war, she had an affair with a farmer with whom she and her children stayed. Much later, she reconnected with a famous actress her father had worked with, Gertrude Lawrence, and the two had a brief affair while Daphne visited her in Florida, an escapade de Rosnay evokes rather vividly. Then came Lawrence’s sudden death, and Daphne was shattered. She embodied an active, positive spirit all her life (as seen in the excerpts above) and yet was constantly haunted by the past. Gertrude had reminded her of her father, whose charm and need for admiration (what we would now call narcissism) had overshadowed her youth. So, Du Maurier gives up her freedom when she marries and has children, or does she? “Gone is the time when Daphne could just dash off to France and spend a week with Ferdie in Paris or shut herself away in Ferryside. She no longer has any freedom in her daily life, but she preserves it in her head,” de Rosnay writes perceptively. Indeed, she continued to publish a book every year or two. Du Maurier’s later years of marriage were difficult as well. Her husband returned from the war a broken man, and finally cracked up in the late 1960s. There were revelations he had been unfaithful. His health collapsed after an operation to amputate his leg. De Rosnay movingly describes his last moments, when Daphne’s blue eyes are the last thing he sees. Even after that, I kept thinking as I read how lucky Daphne du Maurier was. Surely she would preserve this active, independent spirit right up to the end of her life. Surely she would have a happy old age. She lived to be 81, but had stopped eating the last few months of her life. She basically starved to death. Daphne du Maurier’s oldest daughter, Tessa, has said that her mother would have loved this biography, just as Shirley Jackson’s daughter Sarah Hyman DeWitt wrote that Ruth Franklin’s book “tells the truth without appearing to push any agenda or prove anything.” These generous statements are important. A daughter is supposed to carry a key to a mother’s life, to understand all the emotional undercurrents in the way a son can’t, quite. So in the end I don’t feel so sorry for Shirley Jackson, carried off in the middle of her life. Those last ten or so years of du Maurier’s life, as described, seem dreadful. A nightmare. And yet, perhaps this is what the powerful person must always face. Power wanes, control must be given up… it’s a messy business. These were two women from wealthy, oppressive families who achieved literary fame. Daphne du Maurier funneled her darkness into her books without analyzing it much, yet hated to be called a writer of gothic romances; Shirley Jackson’s work is polished and perfect, while her life was anything but. It amuses me that du Maurier is now published by Virago Press in England. I knew nothing at all about her when I read her as a teenager in the early 1980s, most probably getting her books out of the library near my home in Dublin, where they had been available for many years… The odd thing is that she was still alive then. I’m glad both of these complex 20th-century writers have been granted literary posterity and (as sometimes happens) greater respect as time goes on. This entry was posted in creativity and its discontents, LGBT, Reviews, Writing and tagged 1950s, anxiety, barbiturates, bisexuality, Cornwall, Daphne du Maurier, daughters, dominance, Dublin, feminist, France, Gertrude Lawrence, ghosts, haunted lives, lesbian, life, literary biography, London, marriage, Menabilly, mothers, old age, Rebecca, Ruth Franklin, Shirley Jackson, Stanley Edgar Hyman, Tatiana de Rosnay, truth, Vermont, women's lives. Bookmark the permalink. Thanks for this post, I appreciate the thought you have put in here. What is it we lose as we age? Another ‘biography’ which makes me think of this is ‘A Life Discarded: 148 Diaries Found in a Skip’ by Alexander Masters, the true story of the life of an unknown woman as related from diaries found in the garbage. Although she achieves nothing in her life (harsh to say), she also goes from the elation of creative urges whilst young to an empty old age where she writes about the price of groceries. Thank you for replying. I hadn’t heard of Alexander Masters, but checked Wikipedia and found an interesting story! As for the diary writer, how sad. I sometimes think of how little my own diaries will mean to anyone after I go. But I personally love the intimacy of reading diaries: Denton Welch’s, for example, or Virginia Woolf’s. I’m not sure that a future generation will.